WINNIPEG - A Winnipeg athlete at the apex of a billion dollar industry is being featured this Wednesday in the newest instalment of the Engraved On A Nation documentary series of TSN. 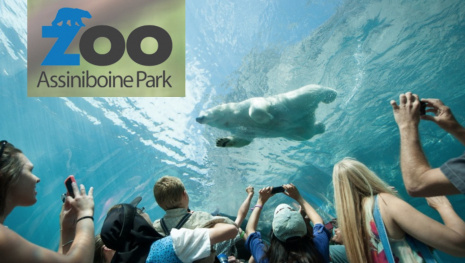 And there's a lot of Winnipeg involvement all over the production, both on-camera and behind the scenes. 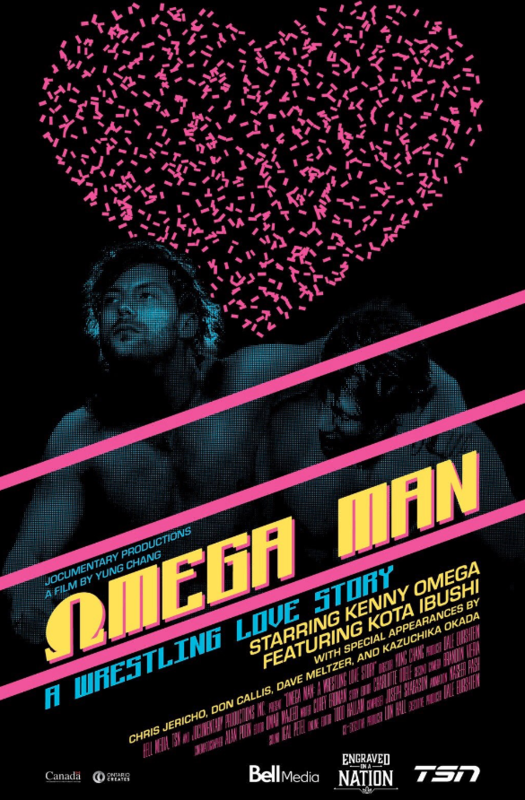 "Omega Man - A Wrestling Love Story" ( @OmegaManAWrest1 ) is being televised at 6.30 pm Central time (7.30 ET) Wednesday, and focuses on the story and storytelling of Kenny Omega, an international sensation who cut his own path from starting on small Canadian regional cards to headlining the main event in the Tokyo Dome for New Japan Pro Wrestling in front of 38,000 fans. 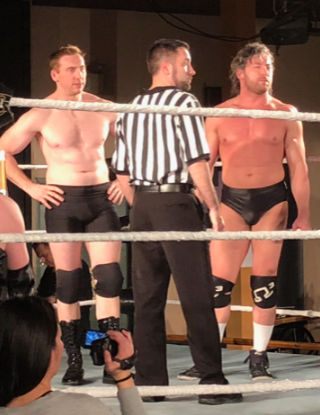 The production includes powerful footage from Japan and the United States with Omega in the ring and in his private life, chronicling his unique merger of entertainment and wrestling before sellout crowds including a raucous return for an in-ring birthday party spectacle with his home promotion, Premier Championship Wrestling in Winnipeg (as reported in Manitoba Post last October). 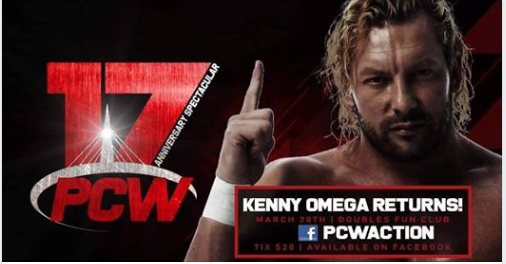 The charismatic Omega, a key draw for the upstart All Elite Wrestling (AEW) promotion debut in Las Vegas on May 25th, is a revered personality in the online gaming community, elevated to even greater heights by fan enthusiam for his in-ring parnership in New Japan with Kota Ibushi as "the Golden Lovers". As TSN explained, the duo "displayed an on-screen bond that at times appeared to be about more than just winning matches; it was suggested that their bond was a romantic connection. The idea that two wrestling partners could be lovers was unprecedented in the sport, a major step for queer representation in wrestling...”. 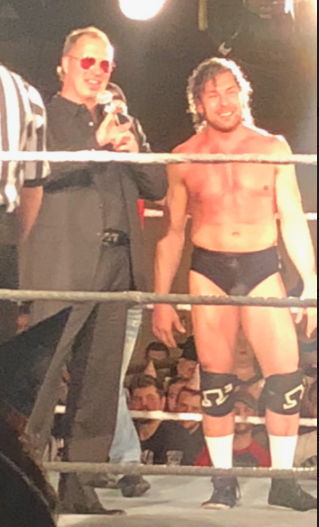 The documentary, directed by Yung Chang ( @yungfilms ) includes tremendously insightful comments from influential Winnipeg pro wrestling personalities Chris Jericho and IMPACT Wrestling vice-president Don Callis (pictured below with Kenny), whose careers converged with Omega in a New Japan storyline that attracted worldwide attention. But the film, whose Executive Producer is another talented Winnipeg product, Dale Burshtein, also takes viewers to the roots of Omega's in-ring career, having gotten on-camera tales about his earliest days in the industry from partners, opponents and friends, including PCW founder and owner Andrew Shallcross. Burshstein said she only became aware of Omega about a year ago and got "A crash course in Kennyism. We had folks on our team who knew him & people like Don Callis & (Wrestling Observer editor) Dave Meltzer who were my mentors. Despite his incredible accomplishments, his story wasn’t been told to a general audience. As a Winnipegger, I should’ve heard his name before!" 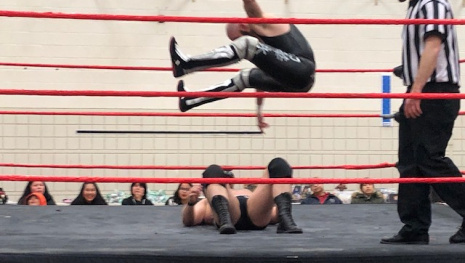 In Winnipeg, "Omega Man - A Wrestling Love Story" is slated to air on TSN 1, TSN 4 and TSN 5 at 6.30 pm on Wednesday.